The Hubert Tuor Foundation (FHT) and the Dr Henri Dubois-Ferrière Dinu Lipatti Foundation (DFDL) share common values and objectives.  In light of its involvement in projects that support training and research in scientific and medical areas, it was natural for the FHT to take an interest in the projects funded by the DFDL. The closer relationship between the two foundations has crystallised around an important and meaningful cause: children suffering from leukaemia or lymphoma, for whom more sophisticated cellular therapies than a bone marrow transplant represent a fantastic hope, namely prolonged remission. These highly specialised treatments are currently available in a few centres in North America and Europe, but not yet in Switzerland. Ensuring they are effective means that university centres need to acquire both organisational and medical expertise to be able to offer people these innovative treatments. With this in mind, a close working relationship has been established with the pioneering team of experts at Great Ormond Street Hospital in London. Exchanges between fellow professionals will help Geneva to remain at the cutting edge of cellular therapy, to offer innovative treatments that offer strong potential for a cure. The Paediatric Onco-haematology Unit at HUG has chosen Dr Fanette Bernard, senior physician in the unit and former senior registrar, to take part in the exchange. Her skills and experience in this area make her the perfect candidate to work with the transplant team at Great Ormond Street Hospital, to complete her training in this cutting-edge area. The FHT has therefore joined forces with the DFDL to support this important project, which will support efforts to fight leukaemia and other blood diseases. DFDL NIGHT, a fund-raising evening dedicated to the cause, took place on 16 October 2018. All the profits will be used to develop innovative cellular therapies for children suffering from leukaemia or lymphoma and the FHT was delighted to take part.